Oooh, Shinies! : What stamping? I don't see any stamping. The basecolor is one of the new Catrice polishes, How I Matt Your Mother, which also has the brushed metal effect (not visible here because of the TC). 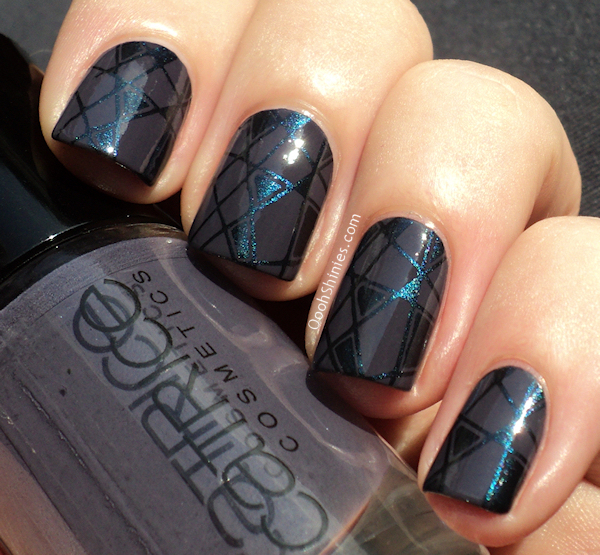 It's like a matte but then with some slightly gritty texture, as you can see on these polishes as well. The color itself? Love it. It's a blue-ish dark grey with a hint of purple, and I think it combines great with different colors. And I'll have to try stamping with it as well, it covered great! 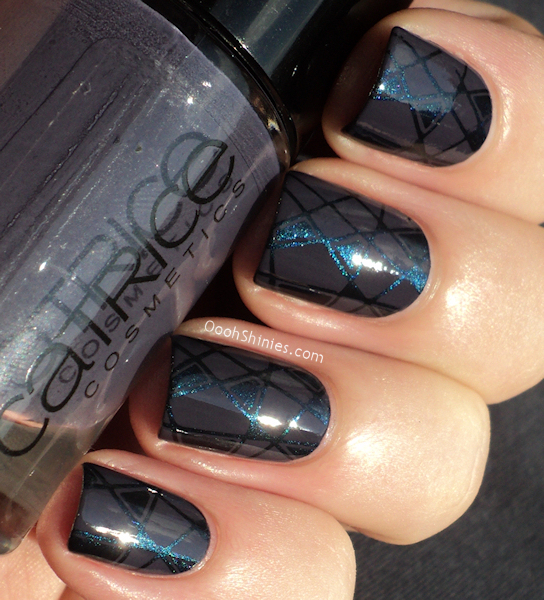 Catrice How I Matt Your Mother with China Glaze Little Drummer Boy and MASH 47.